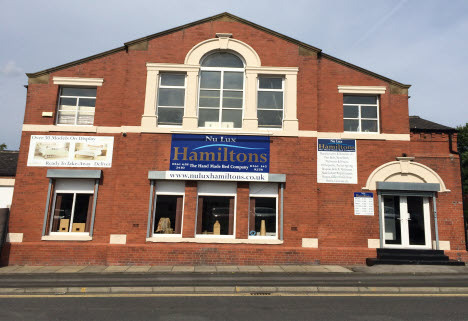 The Hamilton family have been in the bed manufacturing business for 3 generations, opening their first retail store to the public in 1989 they soon found that the public appreciated the same quality and value that the trade had been used to for many years. An unparalleled knowledge has been built up regarding the most suitable materials and manufacturing techniques to employ in the production of it's quality beds. Being Bespoke bed manufacturers, beds of any size and shape are offered to suit the discerning customer. We cater for caravans ,cots, boats and smaller bedrooms. You're sure to find something in our bed frame range to suit your bedroom décor. Our collection features traditional and more contemporary frames in metal, wood and leather as well as a selection of upholstered models. has been designed to complement the mattresses we sell and the correct choice of both will ensure your comfort for years to come. is split across two floors, on display are a wide range of beds from all ranges, many are available from stock for you to take away, alternatively local delivery can be arranged with a small charge for those further afield.